BS9118 SRTP CHRISTIAN SILVER CROSS CONCHO 1 1/8"
Home > Cross Conchos > BS9118 SRTP CHRISTIAN SILVER CROSS CONCHO 1 1/8"
This Concho not for saddle screw or wood screw. 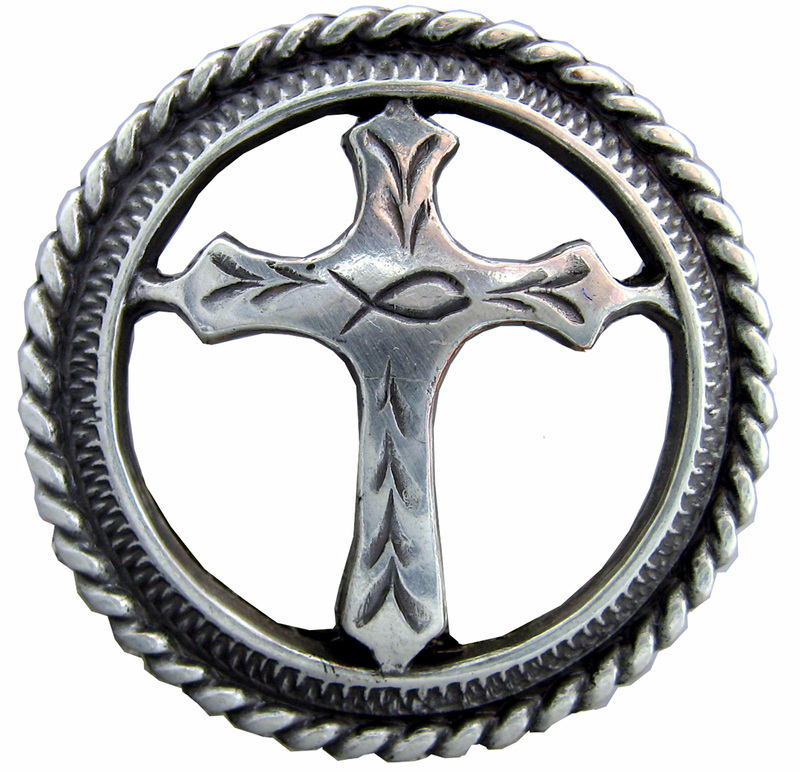 Christian Cross 1 1/8" Rope Edge Concho in Hand Polished Antique Silver Finish. This Concho not for saddle screw or wood screw. Add to Cart then update quantity, updated quantity will reflect quantity discount. No sales tax unless shipped to California. Small Screw Back. For Question or to order call Toll Free 1-888-692-3587 also give us a call for special wholesale quantity discounts for orders over 200 units.